The artist is no longer an ideologue, he has returned to look at the world and his own profession with inexhaustible interest. Centenari have almost the same philosophy: to mimic a flight of swallows in the sky with other means from painting, using a mirror and some neon. A work made of minimal luminous signs and drawings on steel. 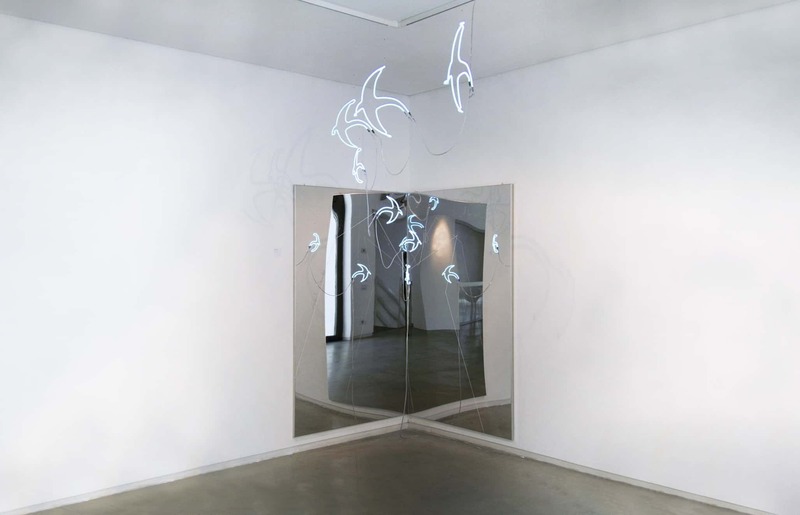 “False sense of security”, the title of the work, reproduces an evolution in flight of a stylized swallow on neon tubes that, reflecting in the mirroring surface, creates an illusionistic game of encroaching the painting, directing it towards infinite space. 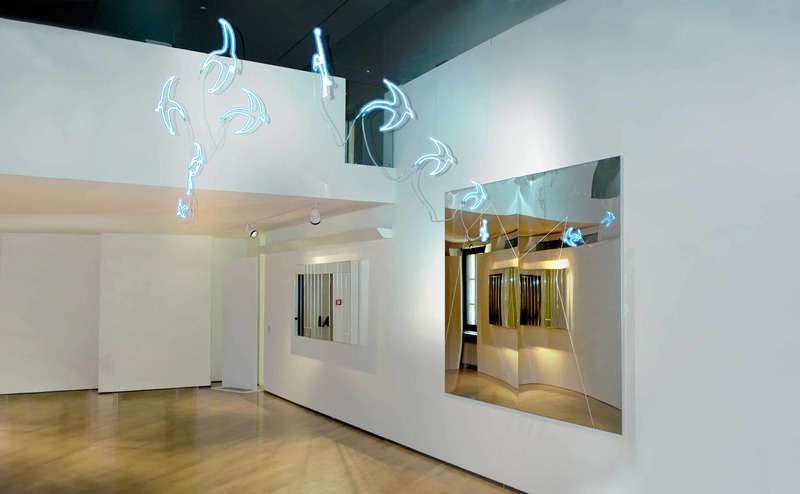 In this illusory flight, then, according to the intention expressed by the artist, “the instability of actions and the constant rethinking that we commonly have of certainties is mirrored, where the fixed points can change and always be in constant change” as a simple flight of birds in airspace “.